The November General Election Day occurs on the Tuesday after the first Monday in November. The polls are open from 6:00am - 7:00pm. Polling Place: Where do I vote? Curbside Voting is available at all voting precincts on Election Day. At Registrar's Office - 5:00pm *Check operating hours for DMV or other state designated voter registration agencies authorized to receive voter registration applications. By mail - Postmarked by October 15, 2018. 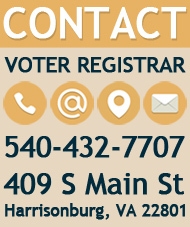 Online Registration via Virginia Department of Elections website - 11:59pm *Applications that are required to be printed and delivered to the registrar should be treated as regular mailed in applications (postmarked by October 15, 2018). The October 15, 5:00pm deadline would apply if they are submitted in-person at the Registrar's Office. 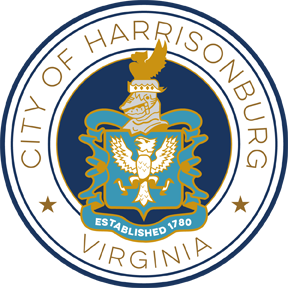 In Person Absentee Voting will be available Monday thru Friday from 9:00am - 5:00pm on the 2nd floor of the City Hall Building and will additionally be available Saturday, October 27, 2018 and Saturday, November 3, 2018 from 8:00am - 4:00pm. *The Ballot can also be returned in person at the Registrar's office but only by the voter. **Ballots must be returned to the locality from which they were mailed out.